Definitely possible if highly improbable. But what would it take? The scientists are not thinking like that because they watch trends and know people are hardly likely to do what would really work. But what would really work if we were to access all assets available to reverse this growing disaster of climate change? 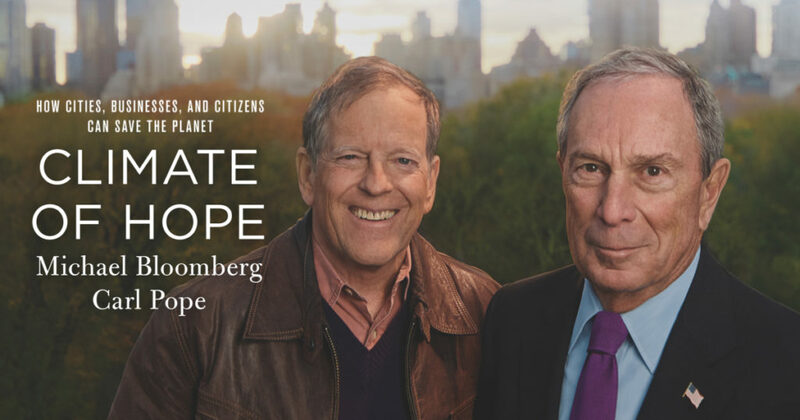 I’m glad Carl Pope, recent head of the Sierra Club and billionaire former Mayor of New York City, Michael Bloomberg, have got at least the terminology right with their new book title: Climate of Hope – How Cities, Businesses, and Citizens can Save the Planet. It warms up the imagination in a helpful way and makes the title of my book from last year, World Rescue – an Economics Built on What We Build, sound less presumptuous. More on Climate of Hope later in this article. Architect/philosopher Paolo Soleri told us at the closing of the 7th International ecocity conference, San Francisco, 2008, that he believes we are living in a growing catastrophe and reform is now long past able to work. We need to “reformulate” and that is different and a very difficult thing to do. If we got from city for people to city for cars gradually over a dozen decades, we are going to have to get from car city to people city much faster, hence reformulate, not reform. But if we were smart enough and willing and energetic enough to risk our precious time, effort and moral honor for a surviving, thriving future, a reformulation would be possible and global cooling could actually be commenced. Whole systems thinking would have to be the approach. “Whole systems” has been something of a fad term, coming and going and coming back again cyclically over the last couple decades while the physical whole systems themselves have existed for hundreds of millions of years ever so slowly changing by the ever evolving rules of evolution. “Whole systems” has something of a “New Agey” ring to it. But whole systems are among us, within us, and all around us. They are very serious stuff. In fact nothing is more serious. They function on principles and dynamics embedded in ecology and evolution. Our very bodies – and one would hope minds – are products of and examples of whole systems past, extant and functioning. Simplistically stated, we are, each of us, a whole system of our organ systems designed by a couple billion years of mass/energy becoming organic evolution and in intimate relation to other organisms of well-tuned organ systems relating to one another and to the mineral, energy and climatic systems of Earth. Certainly cooling off a bit, climate-wise, won’t happen without some new insights and what is sometimes called a radical change, getting to and through breakthrough. Global cooling by 2050 will require the hard work we climate change worriers say we absolutely must pursue. But then… so many say it also has to be set up to be “as easy as falling off a log.” I don’t think “easy” has a ghost of a chance. In this regard I’m more of a Churchill “blood, sweat and tears” guy. I believe we have to try like our children’s lives depended on it. 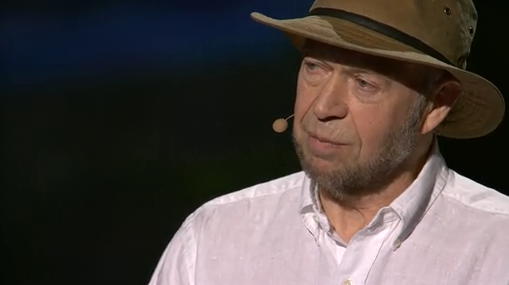 James Hansen in his 2012 TED Talk on climate change. He is one of the two great American Paul Reveres of climate change science. 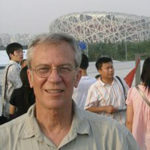 The other was Stephen Schneider of Stanford University and a plenary speaker at our Seventh International Ecocity Conference held in San Francisco in 2008. His talk there was unforgettably powerful, backed by hard science and delivered with more than a little wry irony. Put otherwise: he made mince meat of climate change deniers by way of a number of cool and reasonable victories over falsehood, known these days as “alternative facts.” Unfortunately he died of a pulmonary embolism flying back from a scientific meeting in Sweden two years later. I’ve tried to systematically think through a strategy that would change things enough to stabilize global heating and then actually cool out a bit, maybe even get atmospheric carbon dioxide down to pre industrial levels in a few decades. Pre industrial is 280 parts CO2 per million parts of air. Maybe we could get a bit lower. We are now, July 2017, at 410 ppm. It turns out James Hansen in a few of his comments on climate change is the only person in science or politics I’ve ever heard of bold enough to also say – cautiously – that we could even likely bring the temperature down in the long run. In case you don’t know his credibility, he’s former Director of the NASA Goddard Institute for Space Studies and Adjunct Professor and researcher at Columbia University’s Earth Institute. Sometimes called the Godfather of climate science public education, he’s been at it a long time. In the mid 1980s when I lived in Berkeley I used to get copies of his studies and Stephen Schneider’s to reproduce and deliver to our mayor at the time, Loni Hancock, in hopes of putting that city in the lead fighting global heating. Take one, as they say making movies: We need a sense of proportions here. We need to address the greatest problems we face, face to face, eyeball to eyeball. The task is awesomely gigantic. Good! We happen to have awesome numbers of people to put to work on the problem and endless options, skills and technologies to fit the task. Franklin Roosevelt did pretty well gradually reversing the Great Depression by initiating a colossal building program: schools, post offices, air ports, rural electrification projects, highways, bridges, historic cultural and arts projects, soil reclamation projects, windbreaks and reforestation and on and on. He put the country back to work with a new vision action government assembling elements of both capitalism and socialism as if each had a lot good to offer and peace might one day break out. But building best of cities is only part of the problem, despite the fact that cities are the largest creations of our species and that they demand so much of the planet’s resources while producing so much pollution including the greatest portion of carbon dioxide pumped into the atmosphere. I’ve shown this chart before in our newsletter but it is worth a repeat performance after many long months, so profound is it in exposing just how serious our overpopulation situation is. 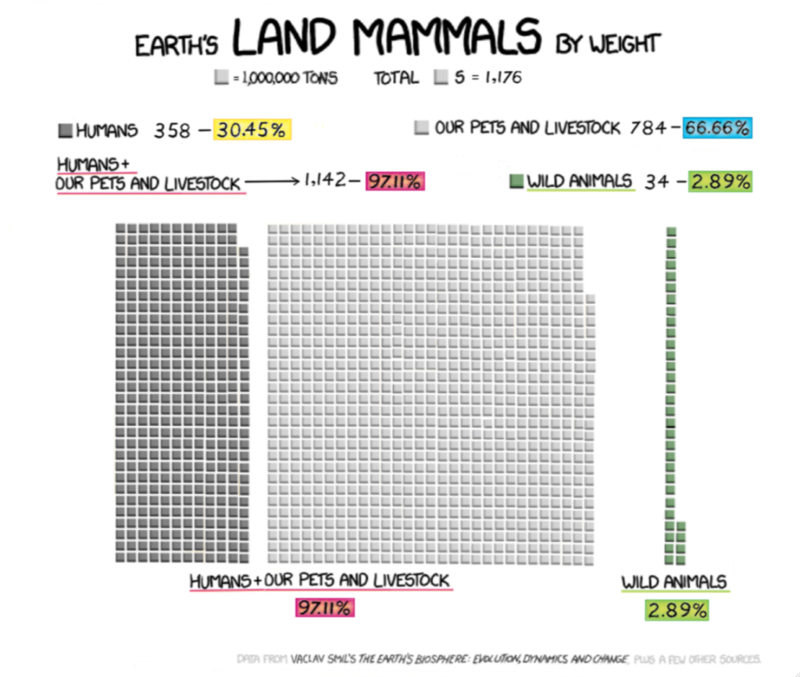 By weight of mammals on Earth, humans constitute 30.45% and our food animals and pets account for 66.66%. Only 2.89% of mammals on the Earth’s surface by weight are wild and free anymore. Figures from Professor Vaclav Smil of the University of Manitoba from his MIT published book, “The Earth’s Biosphere: Evolution, Dynamics and Change. There is also our gigantic and growing human population, plus a world agriculture system heavy on energy, chemicals, machines and massively consuming of the land’s useful surface. Ecocities solve the city part of the problem, various versions of organic agriculture thrive in many places and hundreds of millions of people are aware of overpopulation and practice family planning, despite in many cases their religions calling it sin. Think Italy, home of the Catholic Church and the Pope, but with slightly declining population. I summarize those three mega problems as part of a formula of sorts I call the Six Big Ones: overpopulation, the agriculture/diet nexus, and the built environment of cities, towns and villages. Vastly too many people means we need family planning, knowing it’s against a few hundred million people’s religion – literally – but making the effort anyway. Be we warned by the scale of the looming climate disaster, it is one of the gigantic issues absolutely necessary to be faced. Population is the human flesh and blood physical base; I’ll call it Big One #1. If there are Six Big Ones, what are the other three? Big One #4 is on the physical plane like the three just mentioned. Then there are two on the mental, psychological, and spiritual plane. But let’s deal with the fourth of the gigantic physical solutions first. I call #4 “natural carbon sequestration.” I feature it prominent in all sorts of my recent writings and public talks. I was alerted to the notion by Allan Savory, Zimbabwe rancher who long ago noticed that wildebeest and zebra gather together in big, tight-packed herds and “mob graze,” as some have called it. 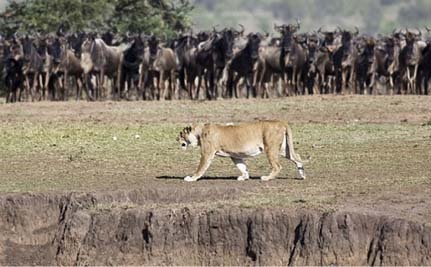 They graze and move about in a cluster to protect themselves from lions and leopards. Massive rump muscles used to drive the whole animal forward and hard sharp hooves are arrayed outward like a wall of defensive stone and cannon to avert attack – and be assured the attack will eventually come. These herds of large, hoofed vegetarians move across their landscapes eating practically everything – grasses, flowers and bushes. The process puts seeds into an acid bath in animals’ warm, moist digestive tracts for a day or two. Then, when they excrete their poop and pee, with their hooves they churn the mix into soil, planting and fertilizing the seeds as they go. They leave behind something that looks like a wasteland but with the first rain, up pops massive production of more grasses, flowers and bushes. They’ve done this, a “whole systems” loop involving predators, prey, plants and minerals under sunshine and precipitating water co-evolving together, for tens of millions of years of very slow change. Come the next rain, the seeds sprout and grow like crazy. The impact of falling droplets on soil is broken by the seedlings and the water does not run off but instead soaks into the soil, roots grow fast and healthy and carbon is pumped into the soil as living roots. In a short time, dead organic matter is building up: roots, dead leaves, twigs and so on rich in carbon taken from the air are busily being stuffed into the ground. Allan manages his cattle in this way that he noticed the lions were doing, he too essentially herding his prey in tight clusters. The undulates – the wildebeest, zebras and his cattle alike – move across the landscape “like a gigantic agricultural machine powered for free by the sun” he has told me. He does this with his hired hands. In the US they would be called cowboys. Savory’s system, in addition to sequestering about five times as much carbon in the soil compared with random free range grazing, by creating condition for rain to soak into the soil, holds water and raises the water table. Small waterways and ponds appear where dry washes used to prevail. Brilliant! – a natural system designed by evolution over the eons recognized and exploited by this alert rancher. Savory’s land grows green and productive in flora and fauna while neighboring ranches remain gray brown and parched, most of the rain on their property taking the quickest routes down-slope and off to muddy floods below. I asked him what about peatlands. Allan replied he didn’t know anything about peat. So I contacted the International Mire Conservation Group and International Peat Society of Finland and bought their how-to book, Wise Use of Mires and Peatlands – Background and Principles including a Framework for Decision-making. I discovered that, so long as soils remain wet the dead material from the mosses and other plants of the peatlands stand in a thin layer of water, almost all the carbon taken out of the air will stay there in a layer of organic matter building up year after year. Such build up can take carbon out of the air and accrue layer after layer of carbon many feet deep, even hundreds of feet deep. To help the process very minor and easy human intervention, the analog of the herding method of the Lions and Mr. Savory, amounts to building check dams in the inches in height – not much to do but requiring a little sophisticated knowledge. Some methane builds up in the soil and some of it is released to the atmosphere, depending on local circumstances including types of soils and species. But over all, tremendous amounts of carbon end up stored in the soil and sediments and proportionally little methane escapes. This is, after all, the process by which carbon was sequestered into the Earth’s crust, becoming eventually the fossil fuels humans harvest. Are there other environments where a little tweaking of natural processes also sequesters carbon? It turns out there are lots of them. Most people, pre-catching on to the basic principles here, such as I was myself before I met up with Allan’s work, have had the correct notion that forests store vast quantities of carbon and should be preserved or harvested “sustainably,” or managed to steadily increase carbon storage in soil and in standing wood and leaves. But the same sorts of process work for other forms of swamps, marshes, mangroves, reeds and seaweeds, sea grasses and corals. Each type of these natural environments can be impressed in the service of sequestering massive amounts of carbon in soils, sediments and in steadily growing ocean reefs with far less material, energy, machines and chemicals than the various – and dubious – mechanical technologies recently put forward for cooling the Earth and fighting atmospheric carbon build up. In my opinion these gigantic proposed techno-fixes in their stupendous scale and risk are flat out dangerous. For example, spraying salt water into the sky with gigantic mechanical geysers, floating tiny mirrors in the trillions in the ocean to reflect light out into space in theory to cool the planet. Then there is covering whole deserts with black plastic to cause intense hot up-drafts in the hope of starting thunder clouds to milk what moisture there may be there for rain and hail. All such mass mechanical technology would require incalculable quantities of materials and use energy on a scale unprecedented to be even theoretically effective. Then the unanticipated collateral damage slams in. Natural carbon sequestration is a completely different story. Help nature do what it does anyway, amplifying natural processes. All that then, those four physical Big Ones – population, agriculture, built environment and natural carbon sequestration – constitute a whole system of enter related parts and strategies, the whole system as basis for a true revolution of understanding what we need to do to be bringing Earth’s fever down. But we are not quite finished in our quest for the whole system to pull off the reversal of global heating and climate change. There are the two remaining Big Ones, that if neglected, will spell disaster of unimaginable magnitude. They are the mental, psychological, spiritual Big Ones. Among the Six is #5, generosity: giving back, investing massively in the above Big Four. That would be a shift from, “Me, me, me,” to “All of us, including all the plants and animals.” But that would mean we have to spend money like never before. Right, and a good idea it is. Money spent is often quite normally jobs created and hardly the frightening thing often portrayed: “Oh my God, we can’t spend that much money!” Well it all depends upon understanding what to spend it on, what to invests in for the health of humanity, the biosphere and further normal evolution on planet Earth. But you already know the answer, which is those above Four Big Ones. Big One #5 is where Gandhi and Darwin come in – giving back to evolution of life itself and understanding basically how to do it, guidance for the peace and health of us and our planet’s fellow living creatures. These two cosmic geniuses, Gandhi and Darwin, rather than leading us to overexploitation and destruction through narrow ego inflation and resulting outright greed and destruction, begin to show us another way. Here’s where we realize we need to end this Third World War against nature as well as endless wars between people. War is the exact opposite of generosity. That’s the “generosity” Big One in its most naked basics. No war, not even the worst of them, has exterminated so many species as humanity’s simple, almost casual over exploitation of nature through our ignorance and collective lack of respect for evolution and ecology. In evolutionary terms our heads have forgotten our hearts. We speak of evolving consciousness. How about exactly paired evolution of conscience with consciousness? In the last couple years I’ve coined another word, “conscienceness.” We have linguistically failed ourselves and fellow life forms by ignoring half of the total mental evolution of our species in understanding what exactly we are evolving. To activate generosity, in other words, we need to understand that it is conscienceness that we need to be evolving, not just consciousness, but much, much more. And finally there is Big One #6, simply education about the above Five Big Ones, as said before, as if our children’s lives depend on it. I mention the book Climate of Hope – How Cities, Businesses, and Citizens can Save the Planet for two reasons. First, it shows how in countless ways we are making progress with cities. First and foremost consistent with its title, the book states the case for considering climate change an emergency and a powerful opportunity. Then it lists steps in progress toward better cities, and most of these are genuinely good steps in deed. Michael Bloomberg starts of with his own city of New York telling of the creation of Central park back in the 1850s. 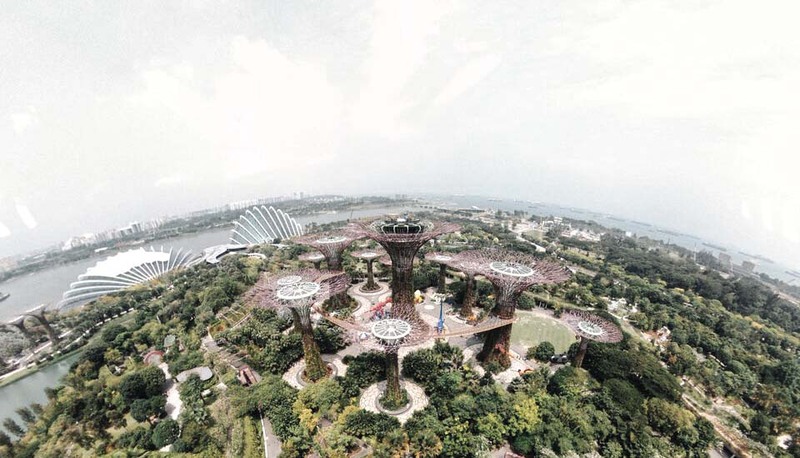 There were many who opposed the idea of such a large park, large enough to provide a real taste of nature right there in the middle of the city. For example, I never got closer to a wild hawk in the wild than when I was walking over one of those steep arching small pedestrian bridges rising up and over another pedestrian path below. A red tail hawk swooped under and ahead of me only eight or nine feet away, right under the bridge I was walking over. Remarkable! If this wasn’t nature in some ways it was almost besting nature. And there I was in the middle of the densest city in the United States. But instead of lost real estate value, what was discovered there and around the world was that the nice open spaces of parks well coordinated with the surrounding development greatly increases land values rather that damaging the economy overall. They are not costly but rather what some real estate people call a milk cow. Then Bloomberg begins a long list of significant advances for cities to help solve climate change problems with work for a comprehensive plan during his watch as mayor, introducing a suite of “green laws” requiring stringent energy-efficiency standards, instituting a solid waste management plan that drove down pollution, setting up an affordable housing initiative while increasing funding for parks and trees substantially. His administration successfully promoted and passed a city tax credit scheme that accelerated installation of solar panels around the city. In 2009, Bloomberg’s transportation commissioner, Janette Sadik-Khan, proposed closing Time’s Square to traffic, turning it into a pedestrian area. He told her she was out of her mind. And he told us book readers, “(and I might have added a certain adjective ahead of the word ‘mind.’)” But she convinced him and it worked so well his administration went on to create fifty more similar if less splendid and famous plazas around the city. Bloomberg goes on to site dramatic ecocity progress around the world, though unlike as in China, he never uses the term “ecocity.” He cites very successful car free zones in Paris and Madrid, the spread of Bus Rapid Transit from Curitiba, Brazil, where we held our Fourth International Ecocity Conference, to Bogota, Columbia and on to more and more cities around the world. Barcelona, Spain, he pointed out, is instituting a program in which several blocks are more or less consolidated with a car free area in the center of each cluster of blocks. They call this their superblock program. In some places these advances are getting pretty radical. Bicycle paths and rental programs are replicating rapidly around the world too. I know that in my own city of Oakland the unthinkable just ten years ago in Berkeley is now getting common here: new residential buildings downtown being constructed with zero parking. “Well, if you don’t want to live here and get around our efficient transit system, bike and walk but would rather drive and park your car, well, there are plenty of other places for you… We want the more graceful urban life. But the book hits a bump in the road. Bloomberg opens the subject of autonomous cars and sounds like a gung-ho promoter. I’m saying to myself as I read, “Just try this mantra, Michael: ‘The better car makes a worse city.’” The bottom line is that cars and sprawl go together: each vigorously promotes the other as another one of those basic whole systems arrangements. The car free city with transit, bikes and lovely walking accessibility is quiet another pattern and any hybrids are a malfunctioning mess. Besides, why does he seem to hate taxi and bus drivers, delivery drivers and cross country long haul truck drivers, the cowboys of the open road? Bloomberg doesn’t mention what Denis Hayes was worried about the last time I had lunch with him in Seattle, Denis the Earth Day organizer of the largest human events on the planet other than big national and religious holidays. And that concern was that the modestly wealthy might well have their autonomous cars drive them to work, drop them off, and drive back home to the garage, driveway or nice roomy on-street parking space at the suburban homestead. Then at the end of the day, the driverless car would drive itself empty back in to the office to pick said worker and bring him or her back home, doubling driving mileage. Transportation planners and environmentalist critics lament low average automobile occupancy among commuters often well below 1.5 per car. How about .5 per car? For my own part with my new computers with their higher complexity crashing on me by far more frequently than my earlier computers, I wonder if some bright but diabolical hacker might one day take down whole national computer dependent autonomous car networks just for fun, or maybe some foreign head of state a little bit off his mental balance, in preparation for some sort of war – trade type or otherwise – likewise make an attack on a whole nation or several at once. But despite these hardly insubstantial problems Bloomberg sounds like an autonomous car booster when he reports that and the 2016 City Lab Conference in Miami he announced a new initiative funded by Bloomberg Philanthropies to help cities prepare for driverless cars. His other problem is two, actually. Though most of what he and his co-author have to say is all good info about real progress for healthy cities and on the side of helping with climate change problems, the ambivalence around the supposed better car – he calls for reinventing the car rather than moving beyond it deep into pedestrian design – muddies the waters considerably. He also, issue number two, never gets explicit about the compact three-dimensional city form, the basic geometry of it all and how that and the transportation vehicles themselves are a whole system. He was mayor of one of the real exemplars of a relatively car free high density city too. He never makes clear, only implies, that car freedom is a very different form of city, and far better in countless ways for a healthy world, than a city of cars and low density sprawl. In other words, his book doesn’t make the leap from somewhat random and muddled progress in the particulars of reforming to reformulating, that is, coming up with a genuinely different and far, far better set of principles and patterns at the core. The ecocity is that core idea and set of principles around which all the details, the component parts and appropriate technologies have the opportunity to fulfill their own functions best, from energy conservation by design, to efficient recycling and transportation, from saving land for open space uses for nature and food production, to saving about a million lives a year currently now lost in car crashes in cities and suburbs, from air pollution, noise and nervous high pressure on the streets to quite curbside sociability and high commercial efficiency in human-scale pedestrian environments. And so I will end pretty much with where I started my own ecocity adventure, with Paolo’s thinking all over again. As I try to provide the Six Big Ones as a whole systems formula and directive for bringing down our planet’s dangerous fever, Paolo calls for the mind set and reasoned pattern needed to move forward successfully. To give him here the last word since he gave me some of the first and best in my ecocity education back in 1965, I’ll insert the last half of his short statement at the closing ceremonies of the Seventh International Ecocity Conference, San Francisco, 2008. Imagine this being said in a slow paced, quiet, somewhat high-pitched voice with Italian accent. Chances are we are going to have a catastrophe unless we wise up somehow. And I think we are living in a catastrophe right now, so it is up to us to do some rethinking and maybe try to come out with a reformulation. Reforming is no longer sufficient. We have to reformulate and that is a very difficult thing to do because it requires an investment in well being, in humility and patience, lots of patience keeping in mind that there are about two billions of people who are starving. They are out of our very prideful notion that we are the top of reality and we can do anything we want to. [long pause…] Thank you. Richard thanking Paolo Soleri and introducing him for the second time to the Ecocity 7 conference audience. At this moment Paolo is about to close the conference with the above comment. Hi Sangeeta, you can either order the book from Amazon at this link or email Richard (ecocity at igc.org) to order one directly from him.